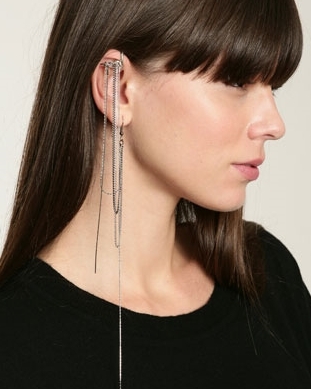 Super cool ear cuffs og kæder fra Urban Outfitters. Jeg er ret vild med den med en fjer på, så flot! Forsendelse til Dk 16£. Billederne kan klikkes på. Cool. They look great, and you don’t even need to get your ears pierced. I like the leaf ones.! 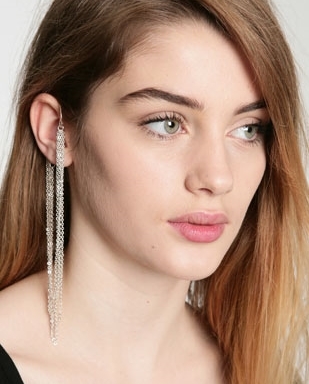 Wow, these are so neat and would work wonderfully for those who don’t have pierced ears, like me! Thanks for sharing these! I used to have an ear cuff and can’t even remember what it looks like! De er så fede! Jeg er bare lidt i tvivl om, jeg ville ende med at tabe mit “ear-cuff”.. Nogle der ved om de sidder godt fast? These are really neat! Edgy but modern. I think my favorite is the first photo – the gold adds a pretty touch.